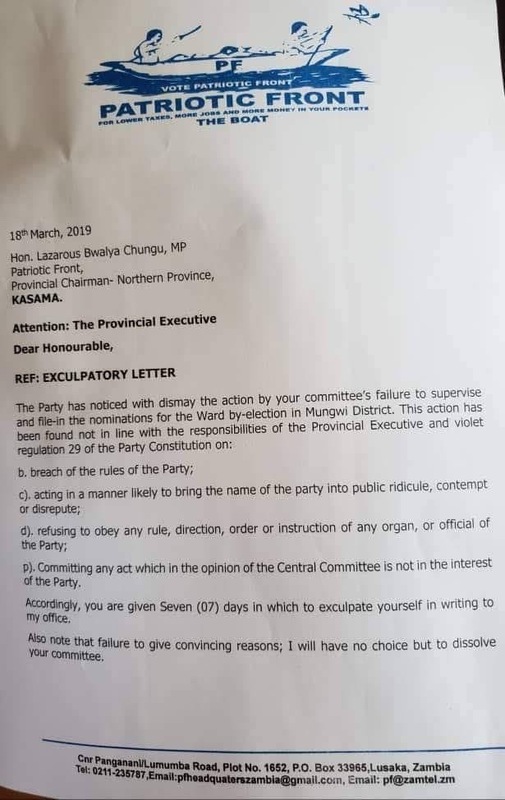 Patriotic Front Secretary General Davies Mwila has dissolved the constituency and district leadership in Mungwi District in Northern Province. 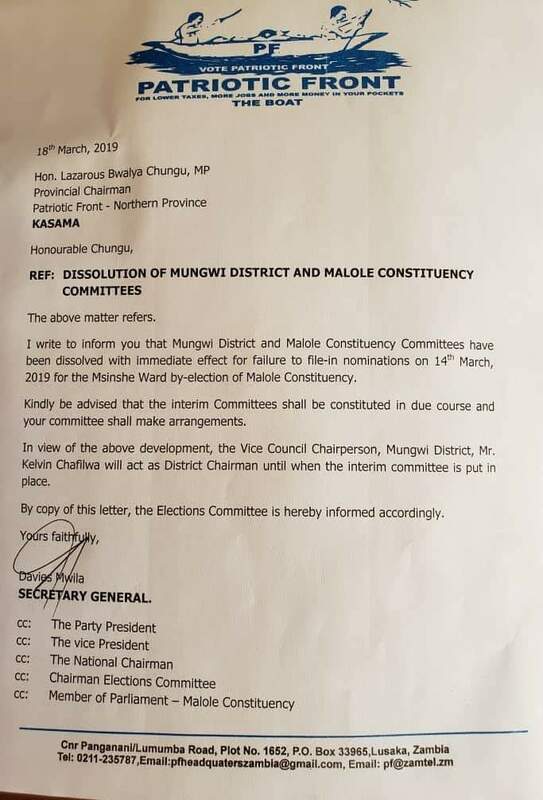 In his letter to Northern Province Chairperson and Luposohi Member of Parliament Lazarus Bwalya Chungu, dated 18th March 2019, Mr. Mwila said the Malole Constituency and Mungwi District committees have been dissolved with immediate effect. The PF candidate had allegedly left behind some of the documents required by Electoral Commission of Zambia (ECZ). The truth is that he has no grade 12 certificate. Mr. Mwila has since placed Vice Council Chairperson, Mr. Kelvin Chafilwa to act as Mungwi District Chairperson. Mr. Mwila said new committees at Malole constituency and Mungwi District will be re-constituted.